In my last blog From Tension to Empowerment – Creating a Smart Tribe I planned to share ideas on Collective Intelligence from Amy K author of The Secrets Leaders Keep. In my executive coaching meeting with my customer, Lee, who suggested I meet with Amy K, our discussion focused on how Lee is a freak. By being a freak he endemically imbeds his strengths of character into his organization. 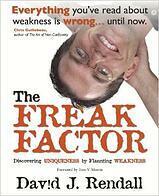 In The Freak Factor – Weakness, a Clue to Strength – Dallas Growth Summit we shared David Randall’s nonconforming views on behavior and how you should amplify your strengths and our weaknesses. Lee is a stickler for organization and systems. He is the person primarily responsible for the idea offered in Raising the Bar on Accountability. This blog offered thee questions to ask when reviewing the WWW accountability tool we provide our customers in the Rockefeller Habits. It’s a great way to keep everyone accountable to achieving the results they committed to. What happened? Why did you fail to meet the time line? Is it material? What consequences or circumstance will/might result from this? These are the questions Lee and his team came up with to further assure uncompleted accountabilities would be addressed and completed in the future. In subsequent meetings missed accountabilities were given the scrutiny of these three questions. Lee remains the sternest advocate of asking these questions. At times it may seem the task is frivolous and doesn’t require this scrutiny, yet Lee is adamant. The reason for establishing the questions is to assure something important isn’t missed and consequences are avoided by missing a critical accountability. Lee’s strength in this case, or what others might view as something he needs to repair, is simply over the top on, provides a strength in this setting. It’s perhaps no coincidence that since these standards have been applied the Lee’s business is achieving record revenue growth. Fleck Sales is another customer that is rigid on accountabilities. Fleck has been working on improving this aspect of their culture. Several times in my blogs I’ve referred to Dudley Fleck, President and Chief Executive Officer of Fleck Sales. Dudley is disciplined in asking at every monthly meeting Fleck Sales Core Purpose, Core Values, Vision, and Strategy Statement. You can almost feel the tension in the meeting when Dudley calls on his team to provide their definition of what each of these represents for Fleck Sales. Even Dudley admits that the culture is so strong in Fleck Sales, if he ever failed to follow through, Mike Schulte, Fleck’s VP - Sales and Marketing would probably admonish him for it! Dudley exaggerates this aspect of his character when others might suggest we’ve done this enough, we don’t need to continually repeat this practice at every meeting. Yet because Dudley has been so consistent in his approach, every one of his leadership team knows these Core Principles of Fleck Sales intimately. 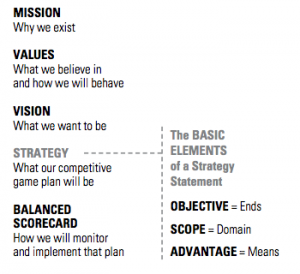 They in turn pass this same consistent approach on to the teams who report to them. Mike Schulte pointed out the importance of these strategies recently after Fleck had made a major purchase of another distributer in Eldridge, Iowa. Fleck’s Strategy Statement focuses on the company’s objectives for 2020. In order to achieve Fleck’s objective in case unit sales, Fleck cannot depend on organic growth. They have to expand through purchases. Without this focus, this strategy statement, Mike feels Fleck may have made this purchase, however it might not have been as quickly and without Dudley’s dashboard priority reminding him to follow up and initiate contact with other nearby distributors. This tenacity of focus for both Lee and Dudley may exaggerate characteristics others might feel need repaired. In Lee’s case this same determination, indeed his tendency to not be afraid to explore and push his strengths led him to ask the question about how IFTI could improve and increase the capacity of the Collective Intelligence of their weekly meetings. While Amy K’s presentation to a group Lee attended ignited his exploration, Lee is and has been a proponent to making sure half of ever weekly meeting is dedicated to Collective Intelligence. It is for IFTI and for most other business, the most productive part of your weekly meeting. If it works for 45 minutes, wouldn’t 15 minutes or more provide even more benefit? That is what we will explore in our next blog. How to make Collective Intelligence more impactful in your weekly meetings? Join us next blog as we examine ideas for Amy K’s book The Secrets Leaders Keep as well as insights from Verne and Amazon’s CEO Jeff Bezos.